Helping you find your customers and your customers find you. Building a true online presence for your business involves more than just creating a website and hoping for results. As with any business venture, you need to market yourself if you want to grow. The world of online marketing presents a unique set of challenges and opportunities. This makes it all the more important to have the support of an experienced online marketing team. Finding: Make it easy for current and potential customers to find you online. Retaining: Use the right tools to ensure your visitors keep having a reason to come back. Converting: Turn those visitors into customers through selective targeting and effective design. Search Engine Optimization, or SEO, is a hot topic in online marketing. The reason is simple. Search engines, such as Google or Bing, can drive massive amounts of traffic to high ranking sites. Keyword Research: The first step in a SEO strategy is to identify keyword targets. This involves discovering what terms people are entering into search engines that are relevant to your business. Then, we aim to build specific pages of your site to rank well for that keyword. On Page Optimization: To succeed in SEO, you must build a website that pleases both human and virtual visitors. Search engines continually crawl the internet in order to determine which sites are most relevant to particular search queries. The underlying code of a web page must be formatted to be easily readable by these search engine crawlers. Link Building: Getting lins from other websites is one of the best ways to increase traffic to your site. Not only do people follow those links to your site, it helps your site rank even better in the search engines. Ranking and Analytics: It’s tough to make changes on things you can’t measure. As part of our monthly reporting, you’ll receive a detailed summary of how your site is ranking in the major search engines, how much traffic these rankings are bringing, and suggestions for future improvement. If your business has a brick-and-mortar shop, there is perhaps nothing you can do that is as effective as optimizing your site for local search. Google and the other search engines are continually trying to return search results that are specific and relevant to each user. 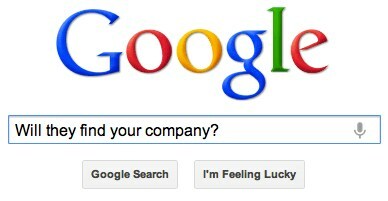 One of best ways they can provide useful search results is to emphasis businesses that are located near the searcher. For example, if you live in Orlando and search for “pizza”, it does you no good to find the website for a pizza shop in San Francisco. Search results often now often include a map. 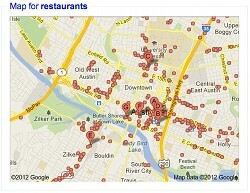 Manage your brand on Google Maps: Don’t let someone’s unflattering cell phone picture represent your company. We’ll make sure the most prominent pictures on Google Maps are ones that represent your business well. Dominate competitive keywords: The emphasis being placed on location by the search engines can help you rank high for competitive keywords from local searchers. Help visitors find and contact you: Make information such as you address, phone number, and store hours easy to find. Social media is another buzzword that is talked about and hyped up incessantly. However, there is truth behind all the buzz. There are many ways for your company to benefit from online social networks. What kind of social media strategy will work for your business largely depends on what type of business you are in, and how much time you are willing to invest into a campaign. Social media needs and skill assessment: The first step is to determine a social strategy that meets your needs and fits with your skills. The last thing you want is to waste time and money on a social media project that just isn’t a good fit. Social sharing: This is simply a high-tech way to magnify word of mouth advertising. With no work required on your part, we can integrate your website with all of the popular social networks, such as Facebook, Twitter, and Google Plus. Visitors can then share your webpage on their favorite sites with a single click. Showcasing “social proof” of the quality of your business can go a long way in establishing your credibility to new visitors. People like you, showcase it! 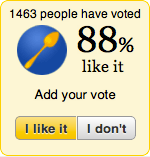 Social reviews: Social networks aren’t just about a group of so-called friends. Social review sites like Yelp are a huge driver of business. We help you set up and optimize your profile so that you can put your best face forward on these influential sites. Dedicated Facebook and Twitter accounts: If you are serious about connecting and interacting with current and future customers, then a true company Facebook page and Twitter account can benefit your company greatly. We do all the heavy lifting and provide you with proven best practices. Running an online ad campaign, also known as pay-per-click advertising, can be an extremely effective way to drive highly targeted, likely buyers to your website. With online ads, you can deliver a customized message to a specific audience based on interests, location, time of day, and other factors. The best part is you only have to pay when someone clicks on your ad and ends up on your high-converting website. With the ability to set a daily budget, you can easily control costs, and you’ll always know exactly what kind of return you are getting from your investment. You’ll know exactly what results your getting for your money. Keyword research: A critical beginning to any ad campaign, we thoroughly research which keywords to target (and which to avoid), based on number of searches, cost, and competition. Ad campaign setup: This is where we target specific groups of people to receive ads, setup budgets, choose the timing of our ads, and then write compelling ads that will drive traffic. Landing pages: Since each ad click costs money, you want to have the best chance of converting visitors into a customers once they reach your site. The best way to do this is with custom landing pages that directly relate to the ad the visitor clicked on. If people click on your ad for “baby toys”, they better land on your baby toy page, or they will leave. Testing and analysis: Another important strength of online advertising is that we can easily test different variations of ads to determine the optimal ad settings. Minor changes in wording can make a big difference to your return on investment. Create a profitable and ongoing relationship with your website vistors with email newsletters. With our newsletter tools, visitors can easily subscribe to your newsletter, and you can easily manage a growing mailing list and deliver custom marketing messages to a receptive audience. An automated process: With everything from sign up to, to delivery, to unsubscribing automated, all you have to do is decide what message you want to send, and we’ll take care of the rest. Professional look: Each newsletter will be customized to include your logo and fit your brand’s color scheme. Manage and segment your audience: Send specific messages to different segments of your mailing list based on location, their response to previous newsletters, and other details provided at sign up. Track your performance: As part of the monthly reporting, you’ll be able to see who opened your newsletter, made a purchase, clicked a link, or unsubscribed. User friendly design: Easily create new blog posts or edit old ones all by yourself with our intuitive user interface. Blog subscriptions: We make it easy for readers to subscribe to your blog through as RSS reader or email. Syncing to Facebook and Twitter: If you also have a Facebook or Twitter account, your blog can automatically create a new Facebook post or Tweet with each new blog entry.